Built in 1904, Bush Hall is an Edwardian dance hall in the heart of Shepherds Bush, west London. Comprised of the main concert hall, two bar areas, an outside roof terrace, it makes for a versatile location for any event. The main hall boasts six elegant two-tier glass crystal chandeliers, trumpeting cherub original plasterwork, 12 ornate large picture frames and a grand piano. A stylish music & entertainment venue, previously an Edwardian dance hall, it is dressed with chandeliers and ornate plastered decor. An atmosphere of elegance adds a decadent air to any event. 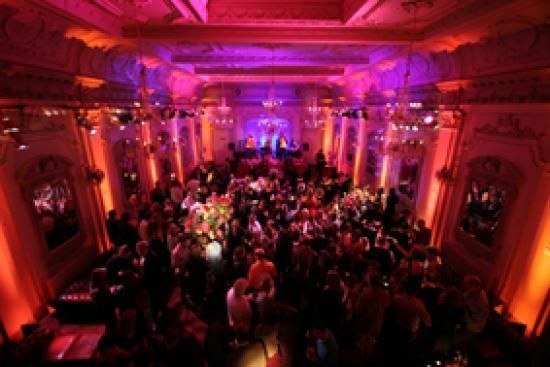 Whether you’re looking for a venue to host a corporate event, a wedding reception, a special birthday party, even somewhere to launch a new product, or a hip spot to showcase your latest signing, Bush Hall is the answer. with your function team to make sure your event is a success. BBC, Science (Damien Hirst), Endemol, Fulham and QPR football clubs, Loreal, Nintendo, What If, Lion TV, Fifteen, wedding receptions and many many happy private clients.